To read the details of these points, please check out the full STLDNA article. V3 also created a solution that incorporates each of these ideas into a cohesive design. V3 would like to thank the members of STLDNA and CityArchRiver for the opportunity to participate in the design charrette. 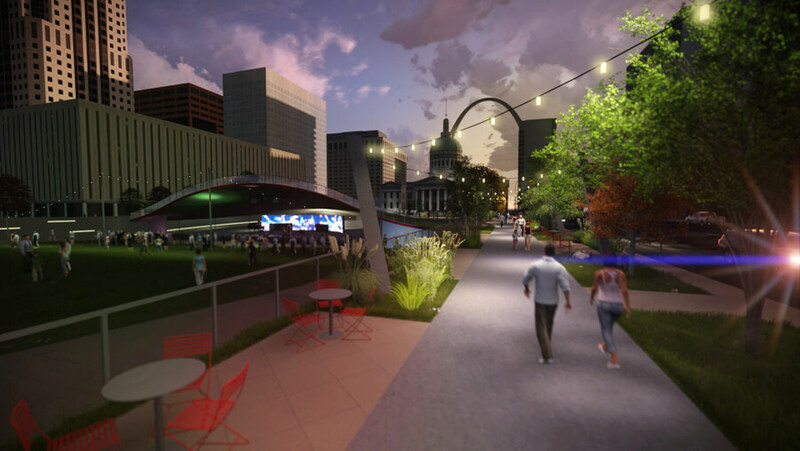 Because of them, St. Louis is well on its way to having another amazing project downtown that compliments the Citygarden and the on-going improvements to the Arch Grounds. On December 13, 2014, V Three Studios participated in a community design charrette hosted by the Downtown Neighborhood Association at the St. Louis Central Library. The goal of this workshop was to discuss the current proposal for the redesign of Kiener Plaza as presented by CityArchRiver, and ultimately create a list of recommendations from the Community for future design exploration. 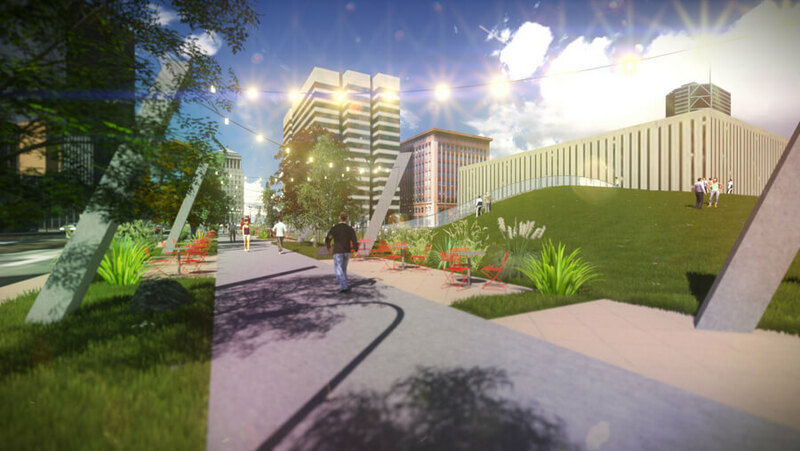 For this effort, V Three Studios was tasked with exploring several distinct design schemes in response to a series of potential programmatic elements, including: existing iconic "Runner" statue and fountain; existing courthouse lawn; open-air amphitheater; spaces for public gathering and events. 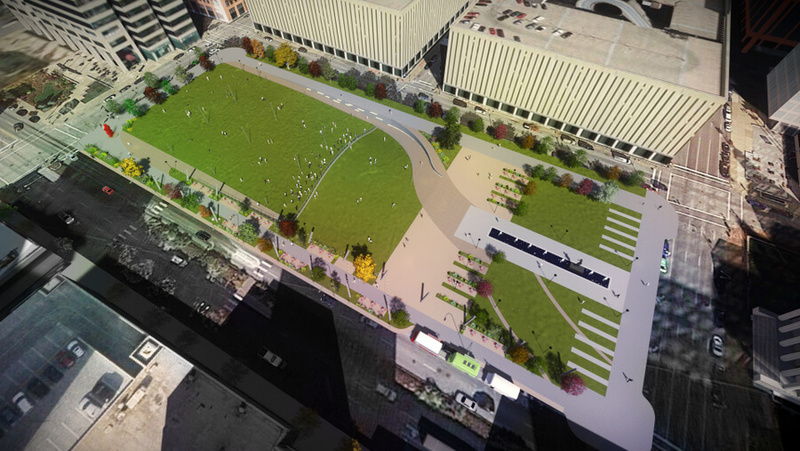 These designs served as a catalyst for conversations regarding the potential of Kiener Plaza. In the end, the various design options fostered excitement among a Community longing for a collaborative design experience. Based on this collaborative process, V3 has created an additional option which aims to synthesize the discussions into a single cohesive solution. V3 looks forward to future workshops and opportunities to enhance our our local community.